Chances are, if any of us ever found ourselves stranded alone in space, the sheer enormity of the situation would be overwhelming. Even highly trained astronauts would likely need some time to compose themselves before settling down and trying to figure out how to survive. 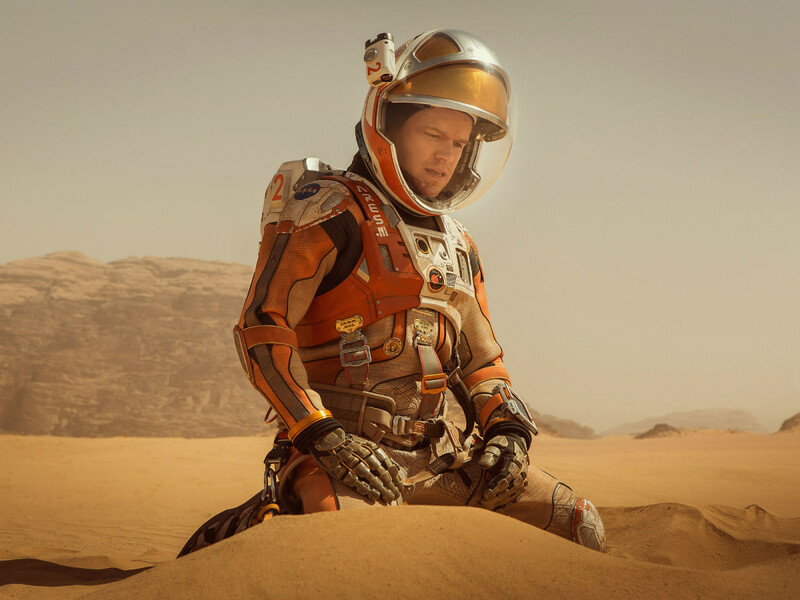 Not so Mark Watney (Matt Damon) in The Martian, who, after being presumed dead during an emergency escape from the surface of Mars by his fellow astronauts, transitions quickly from “Oh, s#@*!” to “Eh, I got this.” Knowing that a manned mission back to Mars is years away, Watney, a botanist, must find a way to stretch his current food supply way beyond its normal range. 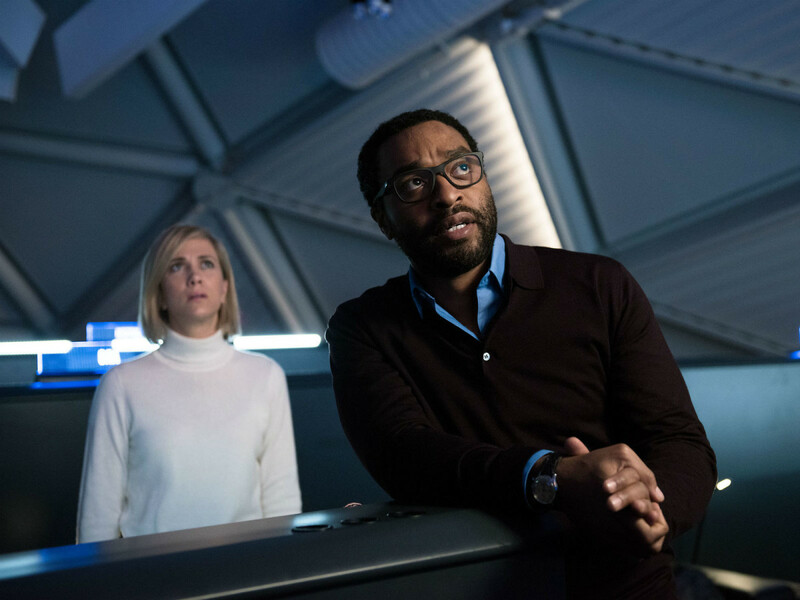 While his team (including Jessica Chastain, Michael Peña, and Kate Mara) make their way back to Earth, officials at NASA (Jeff Daniels, Chiwetel Ejiofor, and Sean Bean, among others) scramble to find some way to send Watney at least an emergency food supply, if not a viable rescue option. 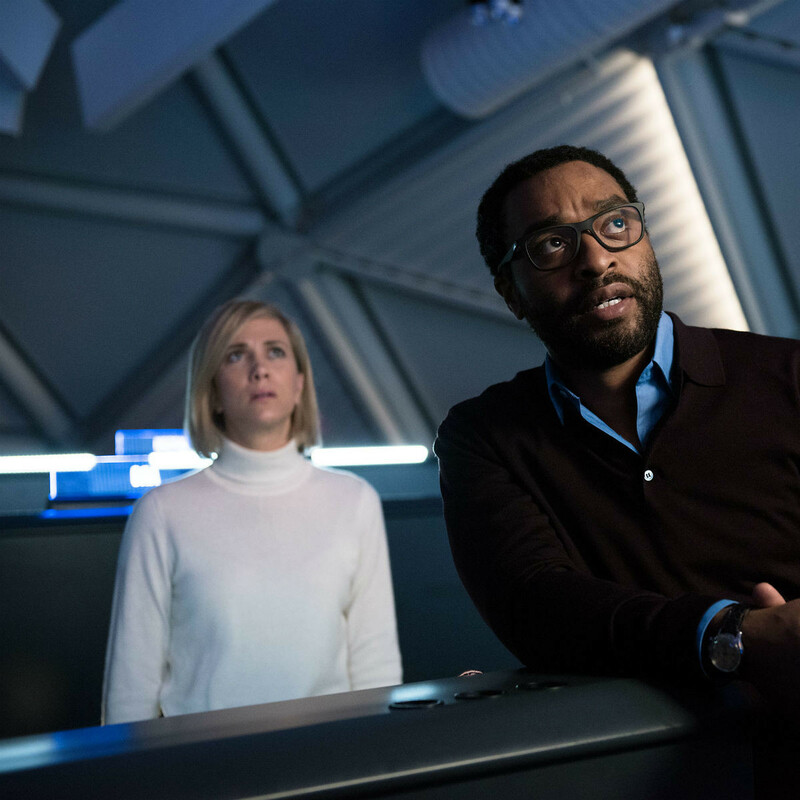 As directed by Ridley Scott and written by Drew Goddard, the seriousness of The Martian lies somewhere between Apollo 13 and Space Camp. 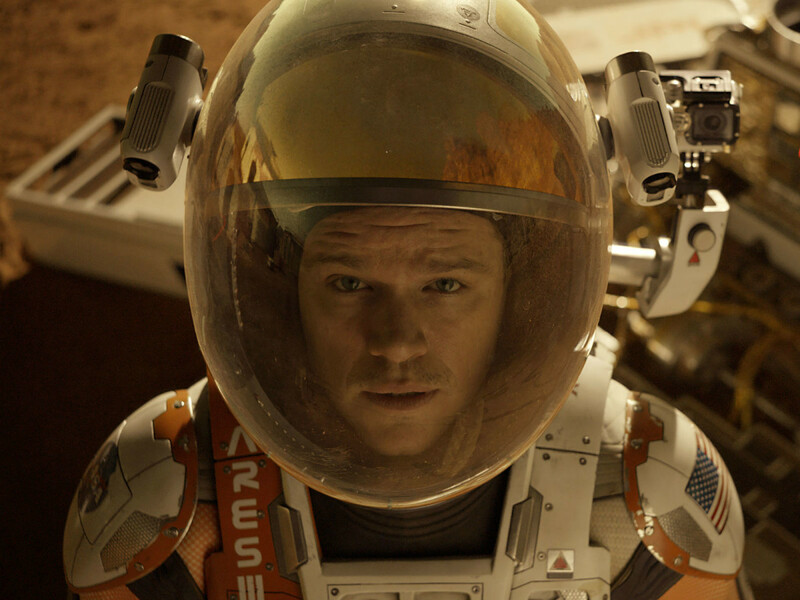 Almost from the first minute Watney discovers himself in his predicament, he starts riffing in video diaries — communications between him and NASA being nonexistent — as if he doesn’t have a care in the world, or Mars, as it were. There’s nothing inherently wrong with this lightheartedness, and many of his jokey musings are legitimately funny. But for anyone looking for more verisimilitude, it can be a tad jarring. A good amount of his dialogue seems crafted purely to be good, crowd-pleasing lines in a movie, not something an astronaut would actually say in that situation. Watney’s video diaries also become so expository that they’re eventually laughable for an entirely different reason. 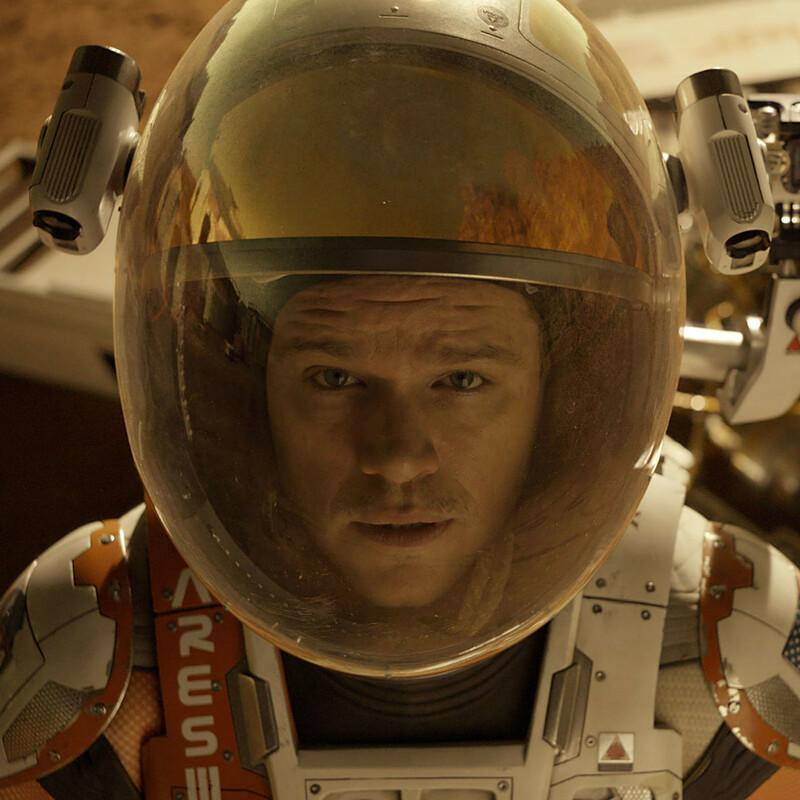 Instead of just showing us what Watney must do to try to survive, Scott and Goddard have him explain his plans step-by-step, then move on to actually executing them. Although some of that could be expected, much of it is redundant. However, the film isn’t really held back by these issues, and Scott uses all his powers to deliver his usual thrills. Damon is an ideal actor for the role, as his charm and affability make him a great audience surrogate. And the set-up of the plot, which has three different groups of people in three very different types of locations, perfectly imparts the scope of the film, even when most the action takes place on terra firma. 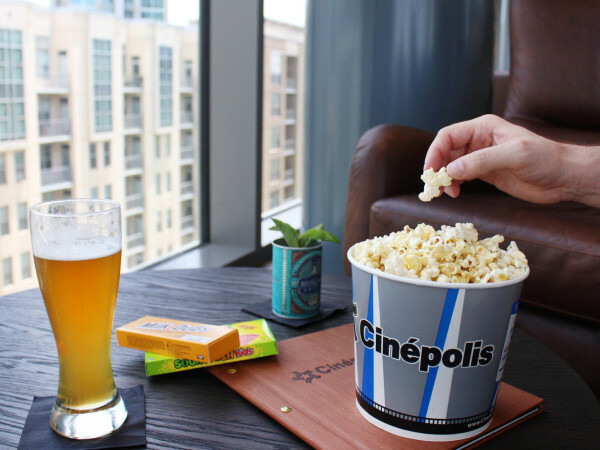 When the film reaches its not-at-all-surprising conclusion, it has earned its accompanying emotions in the same way that Apollo 13 did. 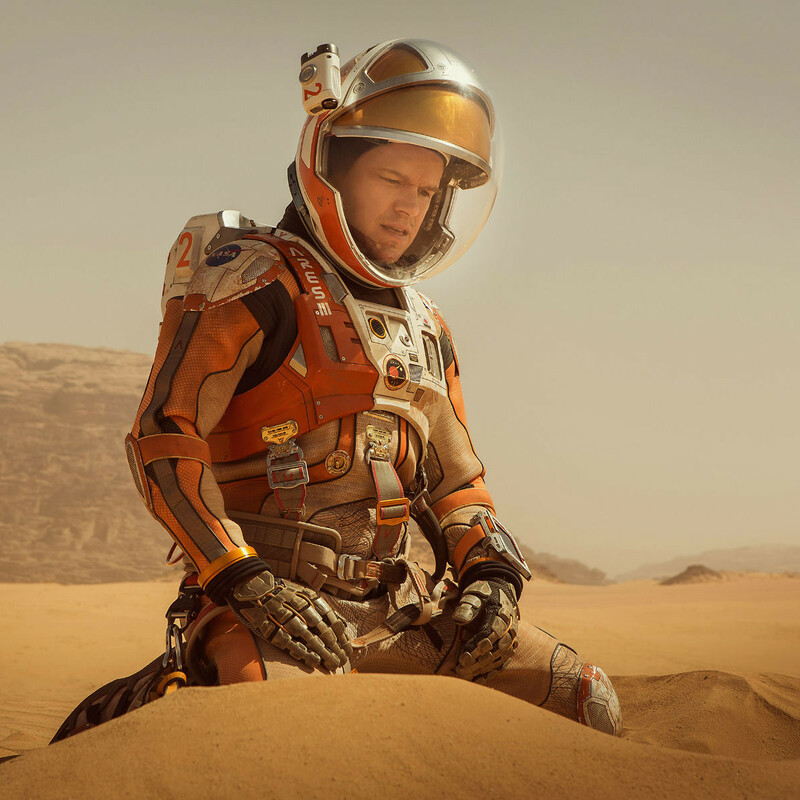 The Martian may not be entirely serious, but it’s still seriously good filmmaking.